FEES testing has become the new "Gold Standard" for evaluation of swallow. It can determine aspiration better than a bedside swallow evaluation, and it does not expose the patient to harmful radiation. (as a Videofluoroscopic Swallow Study/Modified Barium Swallow Study might.) Sensitivity is equal to or greater than MBS testing at determining aspiration. FEES is a painless, safe diagnostic procedure that is superior at identifying risk of aspiration and penetration. The flexible endoscope is gently passed through the nasal pathway of the patient, and velopharyngeal motor movement is assessed. 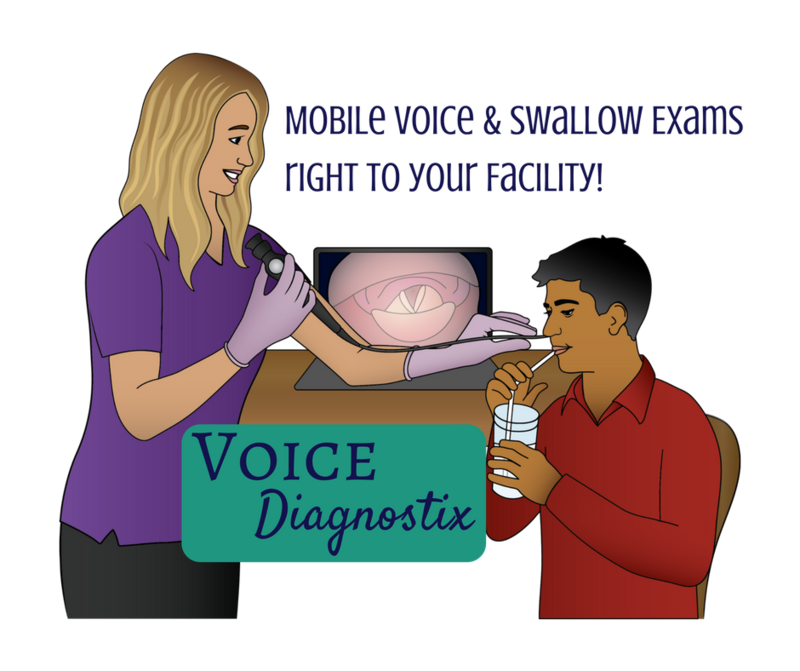 Then the laryngeal vestibule is viewed while the patient eats and drinks a normal meal. The video shows on the laptop in real-time allowing the treating SLP to provide and bill for dysphagia treatment while suggesting compensatory strategies and observing patient response and ability for reduction of aspiration. FEES allows for the patient to eat at a regular pace and not feel rushed, as he/she might during an MBS to minimize radiation exposure. This can provide instrumental feedback to determine fatigue levels and safety of patient for the entire length of the meal.